What Happened to Your Cats' Tails? A Secret Discount, You Say? A Golden classic about a bunny—and a little duck that is about to hatch! Once there was a little bunny. He was all alone. One day he found an egg. He could hear something moving inside the egg. What was it? The tale of a bunny's discovery of a mysterious egg--a Big Golden Book beloved by generations--is available for the first time in the Little Golden Book line, with its original illustrations by Caldecott Medalist Leonard Weisgard. 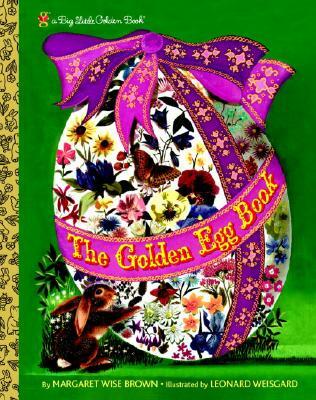 This Springtime classic by the author of Goodnight Moon is now perfectly sized for Easter baskets! MARGARET WISE BROWN (1910-1952), best known as the author of Goodnight Moon, wrote countless children’s books inspired by her belief that the very young were fascinated by the simple pleasures of the world around them. Among her many bestselling Golden titles are The Sailor Dog, The Color Kittens, Mister Dog, Seven Little Postmen, and Home For A Bunny. Juvenile Fiction / Animals / Ducks, Geese, etc. Get your Wild Rumpus gift cards here! On Our Shelves Now = in stock! Subject to Availability = may not be available to order, but we'll do our best! EVERY Monday at 10:30 AM!